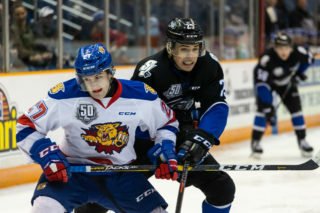 The Saint John Sea Dogs defeated the Moncton Wildcats at the Avenir Centre 6-5 on Thursday night. Saint John is now 3-3-0-0 against Moncton this season and improve to 8-27-2-1. 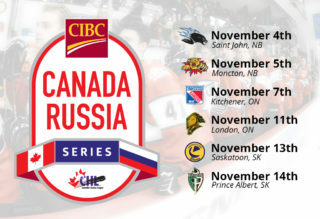 Moncton drops to 24-12-2-2. A wild first period kicked off with Josh Lawrence bursting past the blue line and blasting home a wrister past Lavallee for his 6th of the year to give Saint John a 1-0 lead at 3:51. 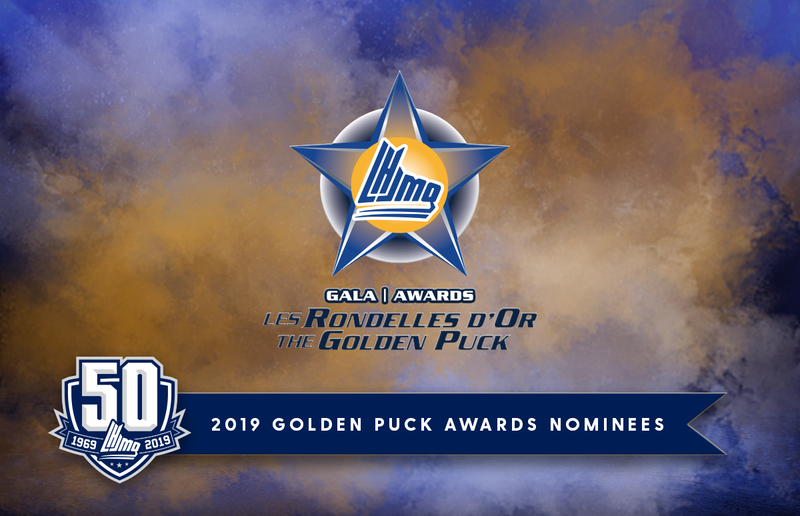 Four minutes later Moncton would tie the game on a Charles-Antoine Giguere power play goal after Benjamin Gagne went off for cross-checking. 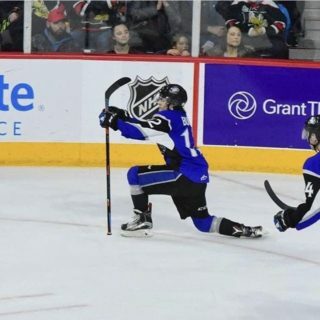 Robbie Burt fired back with an unassisted goal at 10:15 when he kept the puck during a two-on-one and stuffed it home to put the Sea Dogs up 2-1. 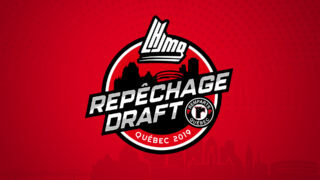 After William Poirier went off for cross-checking at 11:29, Moncton would again convert on the power play, this time Jordan Spence added the goal at 12:19. The back and forth continued as James White back-handed home his 5th of the year on a cross crease pass from Filip Prikryl giving the Sea Dogs the lead once again. Just over a minute later Robbie Burt found Brady Burns from behind the net when Burns had been left all alone in front to put Saint John up by two. Lavallee was then replaced in net by Francis Leclerc. The Sea Dogs ended the period with a short power play opportunity after Aspirot went off for cross-checking at 19:19 but Saint John couldn’t get setup in time. The period ended with a some rough stuff as Dylan Seitz latched on to William Villeneuve as the buzzer sounded. Moncton led shots in the first, 15-14. Saint John started the period with the man advantage but couldn’t convert. Moncton fired back at the midway point of the second with back-to-back goals from Jeremy McKenna and Brady Pataki to tie the game at 4-4. 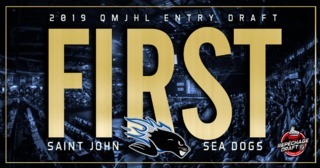 Michael Campoli was sent off at 13:50 for holding and Saint John did a good job off killing off the penalty but a minute later Dylan Seitz broke in and ripped a shot off the post and managed to bang in his own rebound past a sprawling Denisov to give Moncton the 5-4 lead. Saint John returned to the power play at 17:39 after Capannelli was called for holding. With 10 seconds left in the penalty Jonathan Aspirot was called for delay of game after he tried to slap the puck from his own zone to the Saint John end but cleared the glass. Saint John was setup for a short 5-on-3 but Leclerc made some timely saves to keep Saint John at bay. Moncton led shots in the period, 16-6. Denisov stopped 38 for the win, Leclerc and Lavallee combined for 24 saves. Sea Dogs return to action tomorrow night as we host the Cape Breton Screaming Eagles at 7PM.